Sensory play is a hot topic around here. 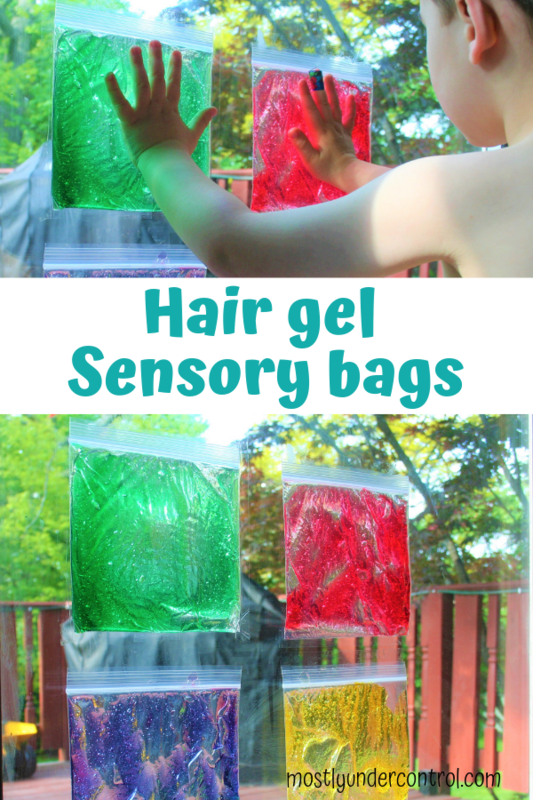 I love sensory bins, sensory bottles and these sensory bags with hair gel. They’re great for all ages, as my 8 month old and 3.5 year old loved them! This post has been updated on April 4th, 2019 to improve the readers’ experience. 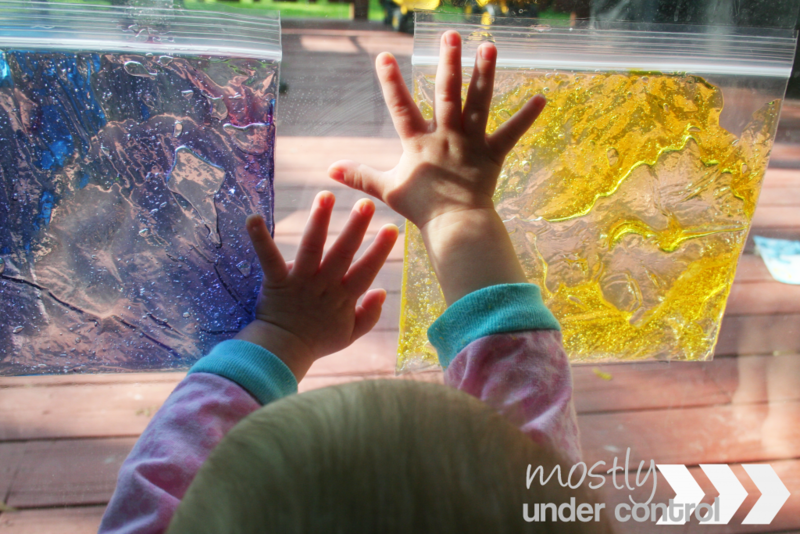 One of my favorite things to write about is sensory play. I love to add it into our daily routine because Dylan loves it. It is really obvious when he needs it and usually when he gets it, his attitude changes. 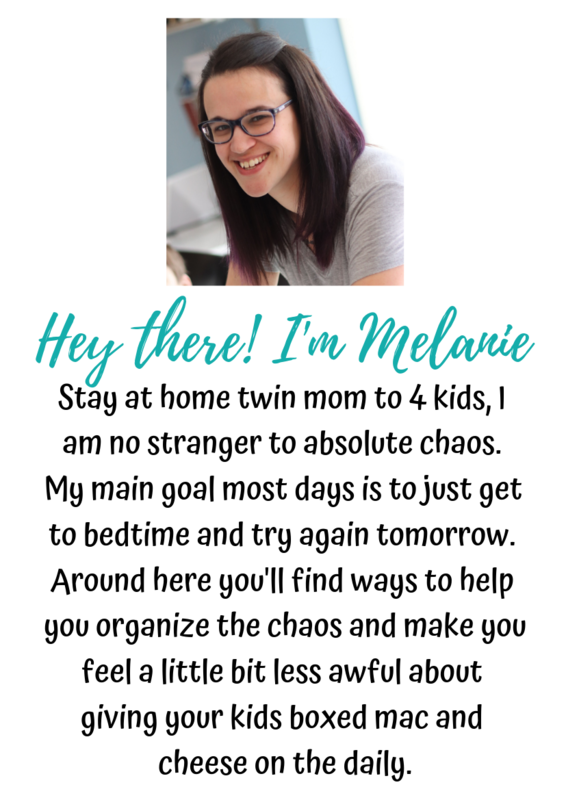 I’m always the first to suggest it in my mommy groups for toddlers who “misbehave.” People who aren’t in education usually think I’m crazy (among other reasons also, I’m sure) but I often times hear people come back and say how it was a great idea. When I taught, the sensory center was always my most favorite center to plan. Kids could get lost in there! Heck, I could get lost in some good sensory play! 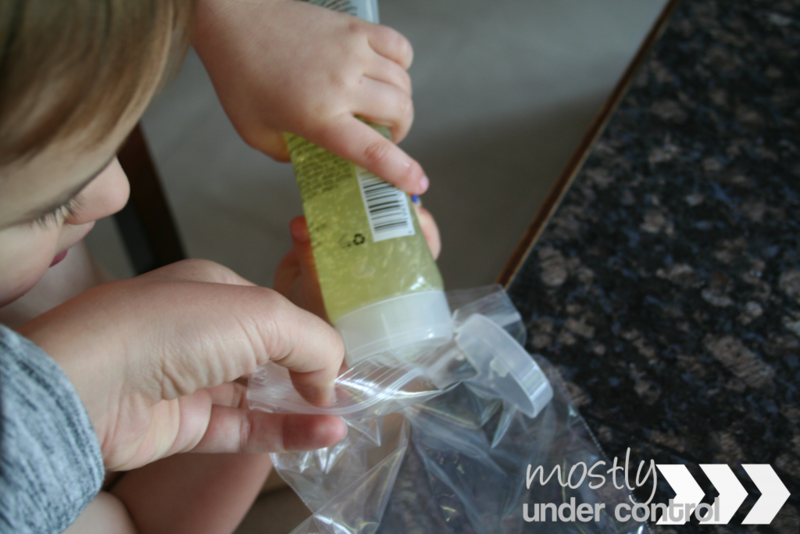 Like most of my projects, all of my supplies for these sensory bags with hair gel were purchased at The Dollar Tree except the sandwich bags and food coloring, because I already had that on hand. 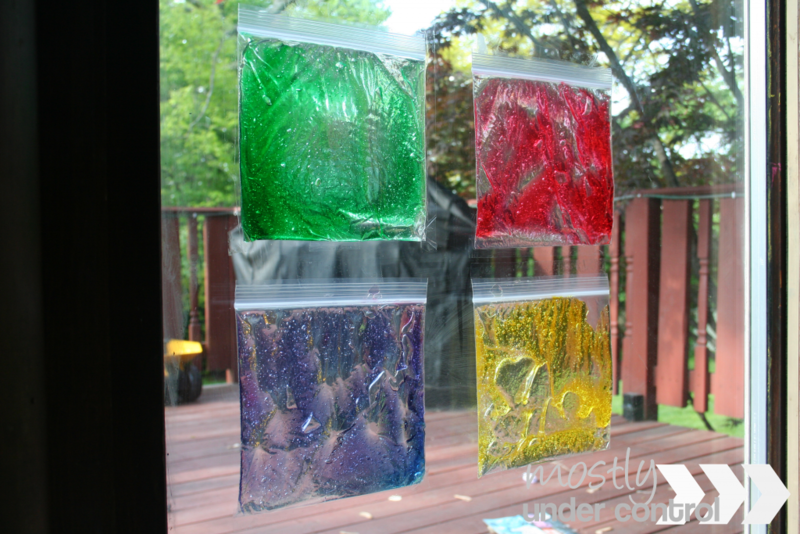 All we did was squirt some hair gel into some sandwich bags and added a few drops of food coloring. Then you let out all the extra air and zip it shut. 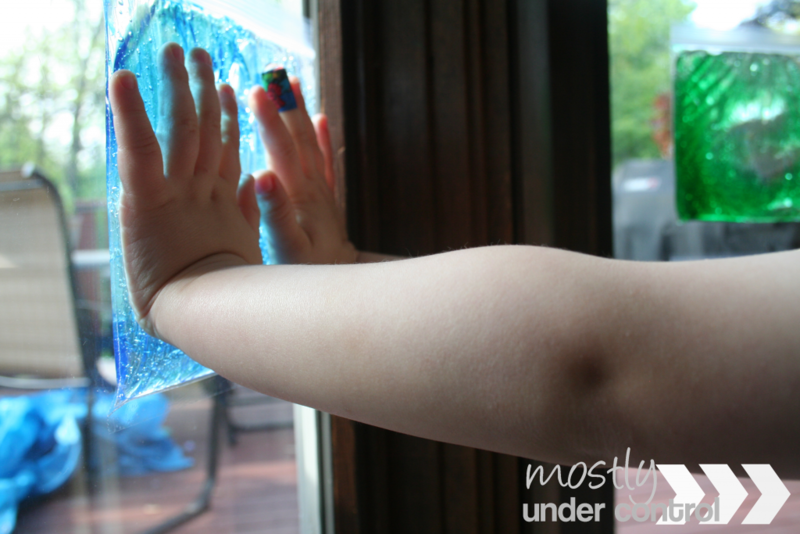 After I pried it from Dylan’s hands, I taped them up on the back door. The sun will look so cool shining through the colors! He loves to write letters in them, squish them, put his hand prints in them. So, this is a great activity for both ages. I often times see Dylan running over there to get some sensory things going. Reagan needs help, but she loves it too.